The Virginia Beach Home Improvement that make cents (sense)? Do you own a home in Virginia Beach? Have you considered doing some improvements? It can be difficult to decide which to do first. Fortunately, some really smart people have gone through the trouble of figuring out all the details for you. There are either good investments or some pretty bad ones (which normally what people make). The pretty bad investments are options that some people ought to ignore and seek professional help to save money and make future investment worthwhile. For example having the focus to replace your windows is usually the best bet. You’ve been thinking about a home office remodel you might want to consider the cost. The bad investments dealing with unlicensed or unprofessional contractors who have a bad tract record are always a bad sign in making your first move to investing. People don’t think investing in hiring professionals is not an investment; really it is an investment of its own. Save people time and money is hiring a professional to complete the work and to get work done right. So, what is a good investment? If you’re going to take on a remodeling project, doesn’t make sense to choose one that will add to the value of your home and recoup the money you’ll spend to make it happen? Not only has that, remodeling improved your quality of life in ways you can’t put a dollar figure on. It is like getting a facelift for your home. Having done your research on materials, processing, logistics, and the right team or crew to hire is the best investment you can possibly make. Making future endeavors in investing your money to the right contractor who are professionals in either replacing siding or windows to improve the longevity of your household makes it a good investment. Getting a new entry door or window just makes sense it is worth every penny. Also getting energy efficient insulated windows, will save you money on your energy bill. New replacement windows can also tinit in for easy cleaning. New siding can also save you money on your energy bill. Call Accurate Siding & Windows Inc. with over 20 years of experience. Making your future investments worthwhile! Accurate Siding & Windows, Inc., window contractors, siding contractors perform the following services using the finest products in the industry: window installation service, window repair, glass repair, Replacement Windows, Vinyl Siding, Decorative Vinyl Siding, Vinyl Replacement Windows, new siding, Double Hung Windows, Casement Windows, Insulated Windows, Alcoa Siding, ThermaTru Doors, Nailite, CertainTeed, Crane Siding, Simonton Windows, Dove Vinyl Windows, Andersen Windows & Doors, Fiberglass Entry Doors, Contractor Services, Siding Contractor, Vinyl Siding Virginia Beach, Vinyl Windows Virginia Beach, Home Improvement, Home Improvement Virginia Beach, Window Products, Replacement Windows, Entry Doors, Window Replacement Contractor, Window Replacement Company, Home Improvement Virginia Beach, Virginia Beach 2009 Tax Credit, 2009 Tax Credit, 2009 Stimulus, Home Improvement Tax Credit, 2009 Home Improvement Tax Credit, Chesapeake 2009 Tax Credit, Hampton Roads 2009 Home Improvement Tax Credit. Replacement Windows Virginia Beach. 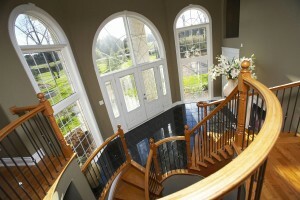 Our window replacement company has professional window installers for your next window install job. Virginia Beach contractors, Virginia Beach window companies, contractors in virginia Beach whatever you want to call it, we do Virginia Beach window replacement best.